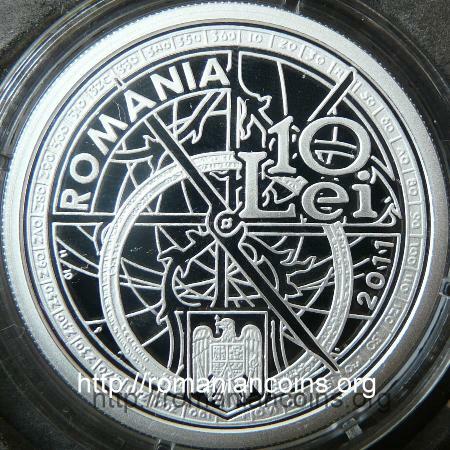 In 2014 Republic of Moldova dedicated to Milescu a silver coin, with a face value of 50 lei. Nicolae (Nicholas) was the son of Gavril (Gabriel), a boyar form the county of Vaslui, with a possible Greek or Aromanian descent, as he was born in Peloponnesus. Nicolae studied in the Patriarchy school in Constantinople. He has translated the Old Testament to Romanian, his text being the basis in the matter for the Bible of prince Şerban Cantacuzino, that was printed at Bucharest in 1688. In 1653 he became the scribe of Moldavian ruler Gheorghe Ştefan (1653 - 1658). 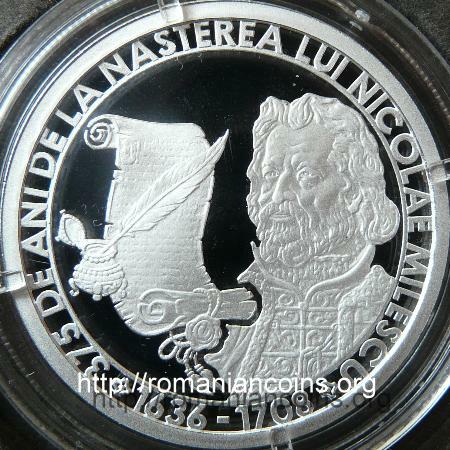 He also served prince Gheorghe Ghica (1658-1659), during the laters's Moldavian rule. As voivod Ghica was moved to Walachia (1659-1660), Ştefăniţă-vodă (1659-1661), son of Vasile Lupu, asserted the throne in Moldavia. Nicolae followed Gheorghe Ghica to Bucharest, being rewarded with the rank of grand "spătar" of Walachia ("sword bearer", hinting at the sword of the ruler). After his protector's being dismissed, Nicolae returns from Walachia to Moldavia. Chronicler Ion Neculce then places the "crookedness" of Nicolae. During the first reign of Grigore Ghica in Walachia (1660-1664 - son of Gheorghe Ghica! ), Nicolae was capuchihaie - diplomatic agent of the prince - at Constantinople. After 1664 over to 1668, Nicolae wandered a big part of Europe, reaching Berlin, Stockholm, Paris, charged with missions entrusted by the former ruler of Moldavia, Gheorghe Ştefan, who during that time sought refuge in Pomerania, at Stettin (Szczecin today, in Poland). It was during these travels that Nicolae used for the first time the name of Spatarius. 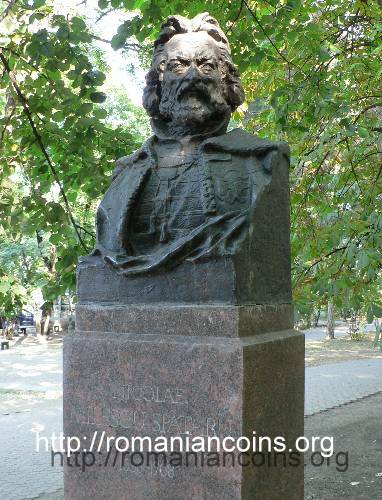 He has returned to Moldavia during the reign of Iliaş Alexandru (1666-1668). Probably then he was "signed" at the nose, having been rendered crooked nosed, as reckoned treasonous against the rule. Such a mutilation was applied to pretenders to the throne (as a person with infirmities was not eligible as ruler), whence the opinion that Nicolae would have aimed to take the throne of Moldavia. In 1671 Nicolae left for Moscow, having been commended to czar Aleksey Mikhailovich by patriarch Dositei of Jerusalem. At Moscow Milescu got a job at Posolski Prikaz - Departamen of Envoys. In 1675 he was sent as ambassador to China, to the great emperor Kangxi or Kang-hi (1654-1722), the fourth of the Qing dinasty (1644-1912), who ruled from Beijing. Before the departure he got the rank of polcovnic - colonel - of the Russian army. The entire adventure lasted for two and a half years. The mission in the far east brought about the writing of two very interesting books, "Travelling Journal in China” and "Description of China”. The name of Milescu was not used by Nicolae, as chronicler Ion Neculce was the one who coined this distinction. It is certain that the kin of spătar Nicolae stayed in Moldavia and owned the village of Mileşti in the county of Vaslui, hence the distinction. Inside the chronicle of Miron Costin, a character named Crooked Nosed Nicolai is mentioned, who led a military corps sent in an expedition to Transylvania. Usually the name Cîrnul (Crooked Nosed) is interpreted as a nick-name hinting at the cut-off nose of the spătar (it is just that in 1658, during the events told by the chronicler, the nose of Nicolae was at its rightful place; it is to say that either it is same person and Miron Costin applied the nick-name anachronously before hand or it is a different person). Despite his erudition, Nicolae Milescu-Spătaru did not manage to raise a big fortune in Russia. His descendants stayed in the service of the czars. A descendant of his was Ilya Ilyich Mechnikov (1845-1916), Russian scientist that took the Nobel prize for medicine for year 1908. The name of Spătaru was russianized, first having become Spafari, being later translated entirely - "mech” meaning sword in Russian, spadă or spată the same in Romanian. And when he shaved the beards, emperor [Peter], of the Muscovites, then the clothing changed, then the emperor himself shaved his beard with his own hand. [...]"
The legend is very beautiful, being full of fantastic elements: the nose that grew back, the bowl of gems and the giant diamond, the huge sum received by Milescu for the diamond. From the "Travelling Journal in China” we know that Nicolae Milescu bought from China a very large gem, but that was a ruby, bought with the czar's money and specifically for him. A little horse, small and meager, with saddle and harness. 12 pieces of silk of mean and low quality. 1 oziam with golden embroidery. 1 pair of boots with socks. 1 belt with knife and a scarf. 26 bolts of kitaik of mean quality. And when the gifts were given to the envoy, they did not say the gifts were either from the khan or that the gifts were for that which the envoy had brought, but it is deemed that they were only response gifts for his gifts, and on behalf of the khan they did not give anything, because they did not give to the envoy even a tenth of the value of that which he himself had given.” Inside the text: kitaik - cotton fabric made in China, and oziam - kaftan long down to the knees, resembling a robe, meant for wearing during summer on top of other clothes.